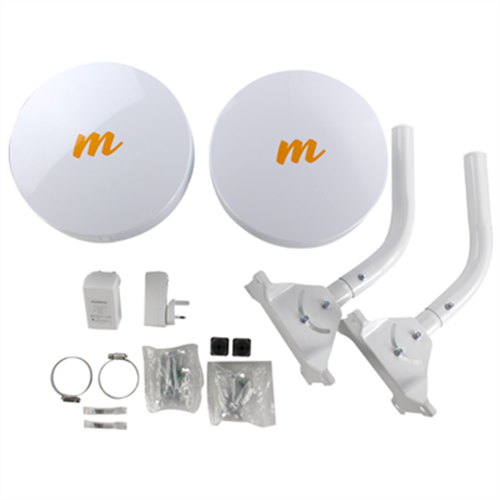 The Mimosa B5-Lite is a complete, 'Auto-Everything' WiFi point-to-point kit for homes or businesses looking for a low-cost, effective solution to extend their networks beyond four walls, and to another location. Capable of 750+Mbps, the Mimosa B5-Lite can be accessed and monitored remotely using a simple registration form on the Mimosa Cloud*. This simple to install kit includes everything to get you started straight out of the box with B5-Lite units, pole mounts, brackets, screws, PoE injectors, and clips. 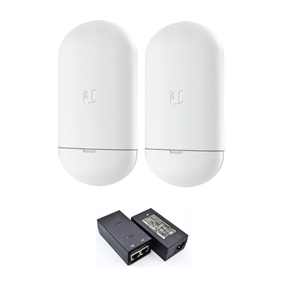 Low-cost solution to connect two buildings or locations together via WiFi. 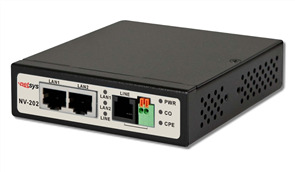 Complete link in a box that includes the B5-Lite units and mounting poles. 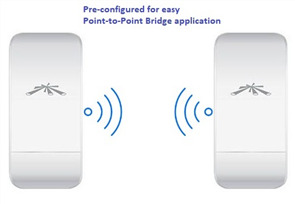 Fast low latency 802.11ac data transfer rates of 750+Mbps between the points. Auto-Everything automatically adjusts frequency, channel width and power levels. 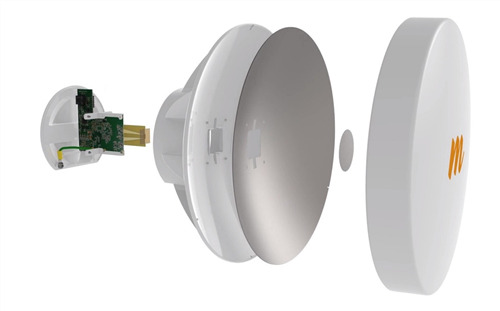 High gain 5GHz 20dBi antenna for long-range point-to-point linking up to 15km. Offers the best features of the B5 and B5c in a lightweight form factor (1.6lbs). Wireless interference can change in an instant, and your network needs to adapt. The Mimosa B5-Lite offers constant spectrum analysis with historical and real-time data to dynamically make smarter decisions. The Auto Everything feature will automatically adjust frequency, channel width and power levels based on environmental feedback. This feature can be turned off for users that prefer more control. 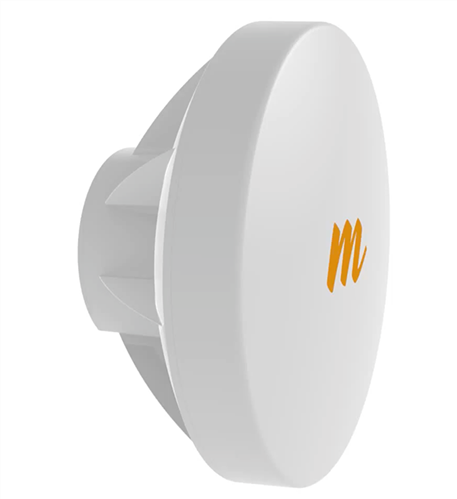 This Mimosa B5-Lite Backhaul Outdoor 5Ghz 20dBi WiFi Point-to-Point PtP Link provides massive bandwidth in a tiny package. At 1.6 lbs per radio, your install just got a whole lot easier. 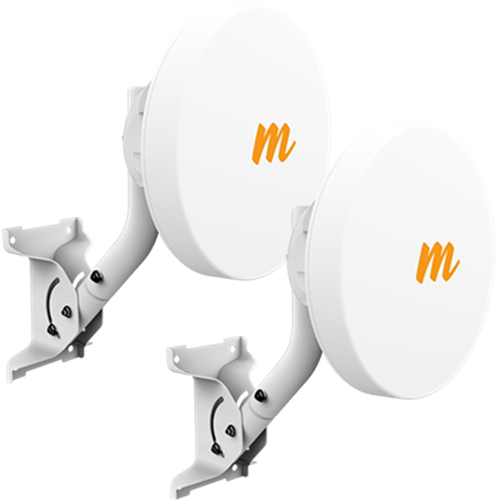 To save you operating costs, Mimosa engineered the perfect solution for solar-based deployment: 750+ Mbps performance delivered in under 20W. The Mimosa TDMA protocol establishes a new benchmark for PHY:MAC efficiency, low latency, and spectrum re-use. Choose between the highest possible throughput TDMA slot times (which use high packet aggregation techniques), or low latency slot times to support latency-critical vertical applications. When there’s a consistent signal from a single client, Mimosa’s Automatic Gain Control narrows the gain window of the receive signal amplitude for the next incoming packets (by 8 dB) to accelerate packet signal level detection. A technique by which the receiver is precision-activated only when packets are expected to arrive over the link. Thus reducing the potential interference typically seen if a receiver prematurely begins decoding.